Autograph Letter Signed from the South African poet Albert Broderick to the editor of 'South Africa' E. P. Mathers, enclosing a corrected typescript of a translation of one of his poems into Afrikaans by 'Ex-President' Dr Francois Willem Reitz. Brodrick's letter, from 22 Cockspur Street [London, England], on cancelled letterhead of 141 Gloucester Road, SW. 9 January 1899. Reitz's typescript: Pretoria. 14 November 1898. 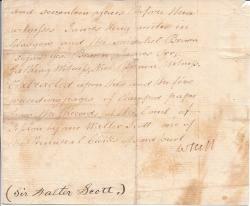 Brodrick's Autograph Letter Signed to Mathers: 1p., 12mo. Good, on lightly-aged paper. 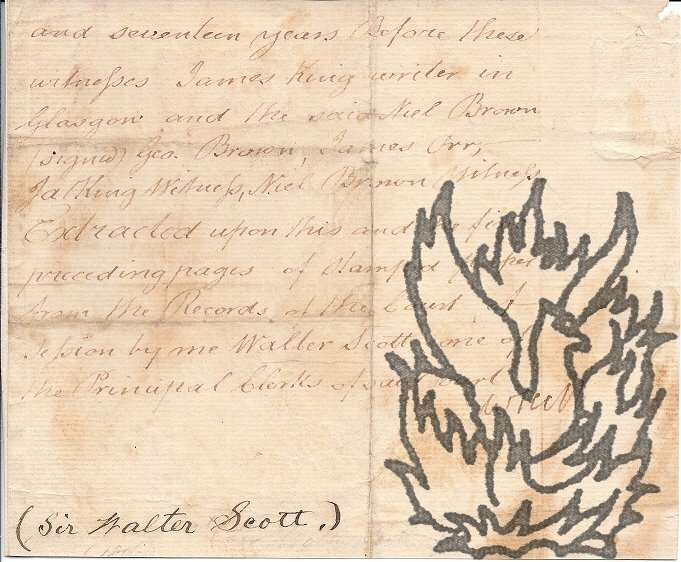 'Dear Sir - It may interest you to read the enclosed, written by Ex-President Reitz whose "renderings" of "Maid of Athens" & "Tam O'Shanter" are so well known. Somebody once said that "the only thing that doesn't lose by 'translation' is a Bishop" and as a rule this is correct, but I think in this instance I have gained'. In a postscript he asks for the return of the 'M.S. ', underlined twice. 1.Of Printers' Flowers ("Contributed to the B. Franklin No. of the AMERICAN PRINTER", Pelican Press, 1922)2. [FOUR SPECIMEN PAGES] "IN THE FOUR SPECIMEN PAGES WE SHOW […]"3.New Year's Card (Pelican Press, 1923)4. [Programme] Victoria House & Pelican Press Annual Outing to Margate on Eleventh June MCMXXVII 5. 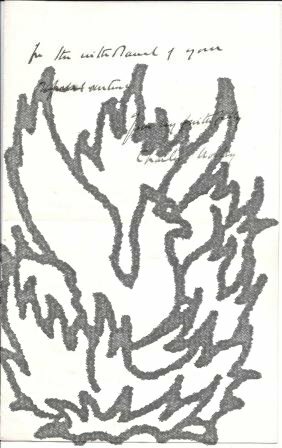 "A Christmas Greeting sent by Mr. and Mrs. Arthur Meadem and Family […] (Printed by A.H.M [Arthur Meaden, Works Manager] at the Pelican Press […]).6.Sundry Christmas Cards to Walter Corrie & Family, many sent by people (and families) listed on 5. (Programme for Outing), i.e. Autograph Letter Signed from the New York printer Walter Gilliss, presenting the journalist Clement Shorter with 'a little book written and made by me many years ago'. On Gilliss's own letterhead (with device of The Gilliss Press), Room 903, Mohawk Building, 160 Fifth Avenue, New York. 8 December 1923 [amended by Gilliss from 21 November 1923]. 1p., landscape 12mo. Good, on lightly aged and creased paper. The letter reads: 'Dear Mr. Shorter: | You were so good as to admire the Stevenson printed by Doubleday, Page & Co., which was my handiwork to a large extent, and so, I am sending you a copy of a little book written and made by me many years ago, which I hope may interest you for an idle quarter-hour, (if you ever have one at your disposal). | Wishing you all the compliments of the season. | Yours sincerely | Walter Gilliss'. 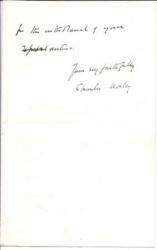 Typed Letter Signed ('Randolph S. Churchill') from Randolph Spencer Churchill to Mrs Webb of London publishers Hutchinson & Co., regarding serialisation of Ursula Bloom's 'Hitler's Eva' in Rothermere's 'Sunday Dispatch'. With copy of letter by him. Both letter and copy from Oving House, Aylesbury, Bucks. 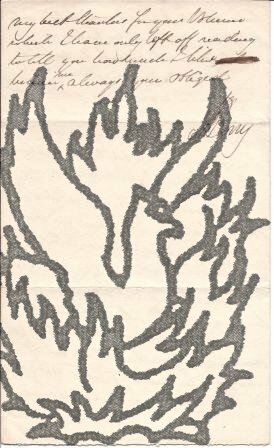 Original letter also on cancelled letterhead of 12 Catherine Place, London, W1, and dated 11 November 1953. Copy dated 10 November 1953. Both items in good condition, on lightly aged and creased paper. Item One: Original Typed Letter Signed from Churchill to Mrs. Webb, c/o Messrs. Hutchinson & Co., Hutchinson House, Stratford Place, Oxford Street, London, W1. 11 November 1953. 1p., 8vo. Lightly scored through by recipient. He apologises for stating in the 'Recorder' of 27 October that 'Mrss Ursula Bloom's current series in the Sunday Dispatch, "Hitler's Eva," has been curtailed'. He has since learnt that, 'on the contrary, the series is to be extended by another six instalments'. 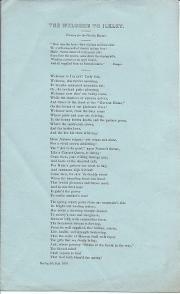 [Printed handbill poem.] "La Belgique Martyre." Poème du maître belge Emile Verhaeren, dont la publication a été autorisée par l'auteur comme contribution a l'oeuvre "Asiles des Soldats Invalides Belges." 1p., 12mo. In good condition, on lightly aged and worn paper. The poem, of 60 irregular lines, is placed (with a facsimile of Verhaeren's signature at the foot) within a thick floral border, reminiscent of the Arts and Crafts movement. It begins: 'Ce n'est qu'un bout de sol dans l'infini du monde. | Le Nord | Y déchaîne le vent qui mord. | Ce n'est qu'un peu de terre avec sa mer au bord | Et le déroulement de sa dune inféconde.' Scarce: no copy in the Bibliotheque Nationale, on COPAC or in the Imperial War Museum. 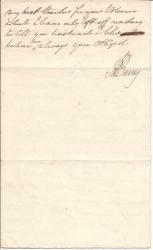 Autograph Letter Signed from the American artist Edwin Howland Blashfield to 'Mr. Thomas' [the playwright Augustus Thomas], regarding the National Institute of Arts and Letters [later the American Academy of Arts and Letters]. On his letterhead of 48 Central Park South, New York City. 14 November [1915?]. 1p., 12mo. 25 lines, neatly and tightly written. In good condition, lightly-aged, and with pin hole to one corner. Blashfield declares himself 'much disappointed' that Thomas will not be presiding 'at the joint meeting on the 17th. Nov.', stating that he has been urging 'from the beginning' that Thomas should 'so preside'. 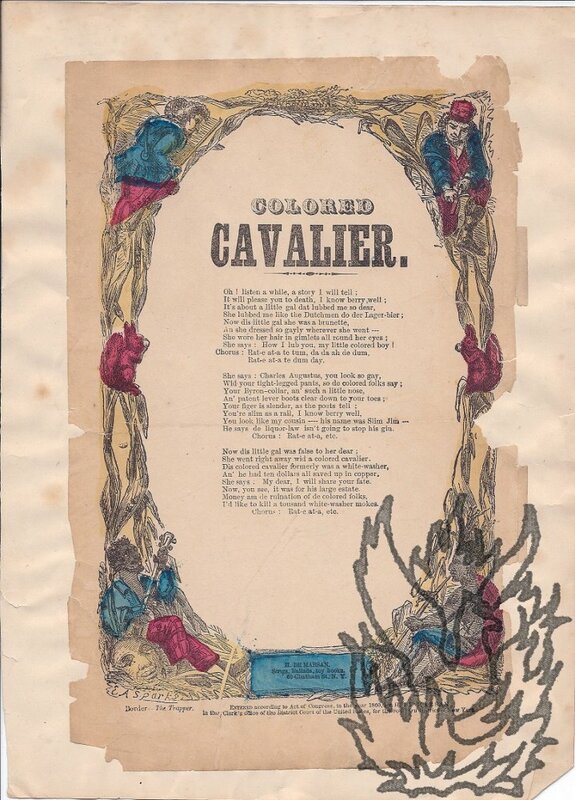 Autograph Card Signed ('Edmund C. Stedman') from the American poet Edmund Clarence Stedman to 'Mrs. Ferris', regarding the marriage of the English poet Alfred Lord Tennyson to Emily Sellwood. New York. 14 November 1890. Cabinet Photograph, head & shoulders, Signed "Charlotte Mary Yonge"
Seward's poem dated 'Bath-Easton (the Villa of Sir John Miller,) near Bath | ffeb. 11. 1779.' Hayley's poem without place or date. Totalling 5pp., 4to, with Seward's poem on the first 3pp., and Hayley's on the following 2pp. Disbound from a notebook. 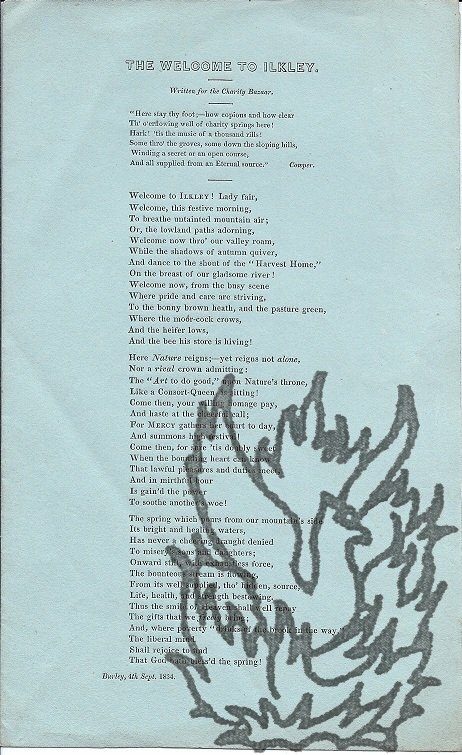 In good condition, on lightly-aged and worn paper which has been cropped at the foot, resulting in the loss of two lines of text from Hayley's poem, and with the strip with the trimmed line from the foot of the first page of Seward's poem laid down at the head of the second page. Full article published in Edinburgh Review, vol.21, pp.378-424. 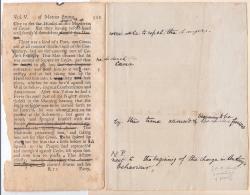 Manuscript, two pages, 4to, trimmed at bottom with loss of text, with light corrections and additions, giving the text for pp.407-8, excluding two lengthy quotations from the book to which Brougham gives the reference only. The trimming had led to the loss of the passage from "In the Conservatorii or charity schools [...] He gives as an instance one Conservatorio where four hundred ... where four hundred...",apart from a few words (subject of pasage partly "repentant women" and vice in Naples). 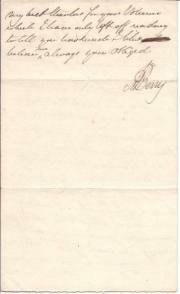 Autograph Letter Signed to a "Mr [Stanquer? 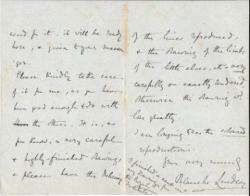 ], heavy handedly declining an invitation (perhaps it was 1843 and Southey had jy=ust died??). Greta Hall, Friday Evng, no date. Two pages, 12mo, remnants from being tipped on to album page, , staining, text clear and complete. "I feel myself compelled, circumstanced as I ma - to decline all invitation. Were it otherwise I should with great pleasure avail myself of yours - | My friends are answering for themselves - & I am very sorry it will be in the negative - but as they have declined similar invitations from the persons who have paid them the same kind attention, they cannot with propriety make exceptions..."
Copy of Two Typed Letters from the London publisher Martin Secker to the Scots-Canadian author Frederick Niven, the first asking for 'one more chance' to publish his work. With typed copies of two of Niven's replies, the first extremely critical. Secker: both from Number Five, John Street, Adelphi; 26 and 28 February 1913. Niven: both from Holmleigh, Church Hill, Loughton, Essex; 27 February and 2 March 1913. Sent by Niven to his literary agent J. B. Pinker, whose date stamp is on the first of Secker's letters. All four items in fair condition, on aged and lightly-creased paper. Secker's first letter: 1p., 4to. He begins by praising 'Denny's display' [a window display of Niven's work in Denny's bookshop in the Strand]: 'I am wondering whether you managed to get the photograph into any of the papers. Shall I send it to the Bookman?' He continues: 'The sales [of Niven's novel The Porcelain Lady] up to date amount to 434 in England. Part of Document Signed "W Scott", as one of the Principle Clerks of the Court of Sessions. Sir Walter Scott, lawyer and author. No date or specified place. Two pages, c.17 x 14cm, paper trimmed with loss of text, staining making it difficult ro read some of text, text in another hand unless Scott's legal hand differed from his novelist's (see image on my website). Text of recto: "appears to be justly due at the date of the sequestration with all the expenses thereon And I the said George Brown Bind and Oblige myself and my foresaid to free and relieve the said James Orr and his foresaid of the cautionary Obligation above written and of all loss damages and expenses which he may incur or sustain in consequence thereof. One page, 12mo,green paper, bifiolium (rest blank), 3 verses, 14 lines each (total 42 lines), preceded by the statement "Written for the Charity Bazaar") and 6 line quotation from Cowper ("Here stay thy foot; - how copious and how clear ... from an Eternal source"). Verses start "Welcome to Ikley! Lady fair ... That God hath bless'd the spring!". No other copy traced (none on COPAC etc). See scan on website inventory. 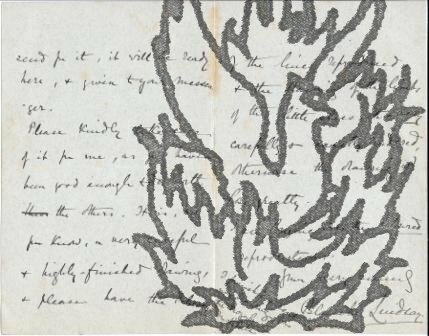 Leaf from the notebook of the Victorian artist George Cruikshank, carrying two pages of serious sketches, each signed by him 'Geo Cruikshank'. Undated, but on paper with watermarked date 1824. 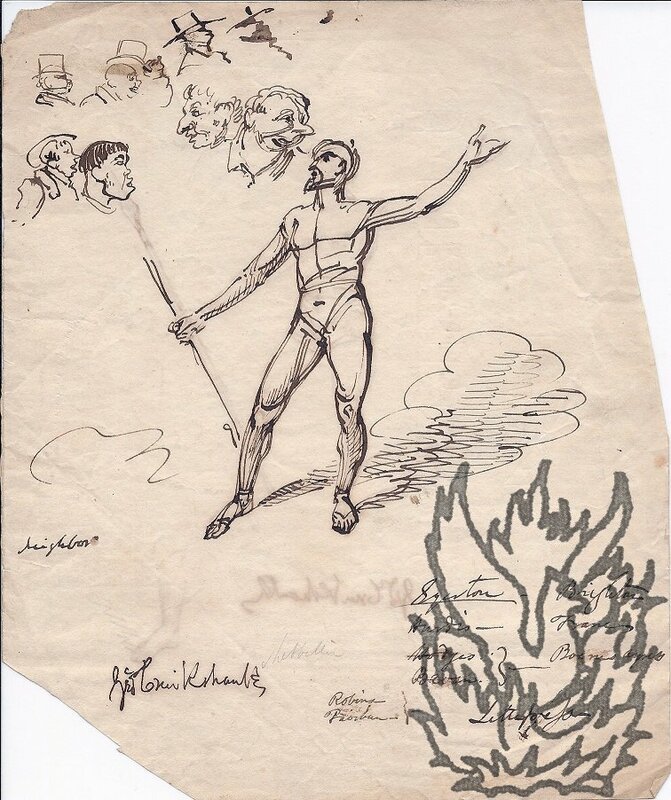 In ink on both sides of a 4to leaf of wove paper, watermarked 'J GREEN & SON / 1824'. None of Cruikshank's drawing or writing is affected, but one corner of the leaf has been cut away, and there is another thin strip cut from another. Fair, on aged paper. One page carries a full-length drawing of a bearded athletic man in shorts and sandals, making a sweeping theatrical gesture with his right hand, and holding a spear in his left. 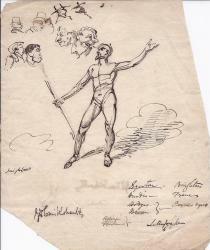 Beneath the drawing is Cruikshank's signature, and a study of the left foot. Leaf from an early edition of John Dryden's translation of Plutarch's Lives, marked up with autograph emendations for a revised edition by the Victorian poet Arthur Hugh Clough, with leaf carrying longer emendation's in Clough's hand. 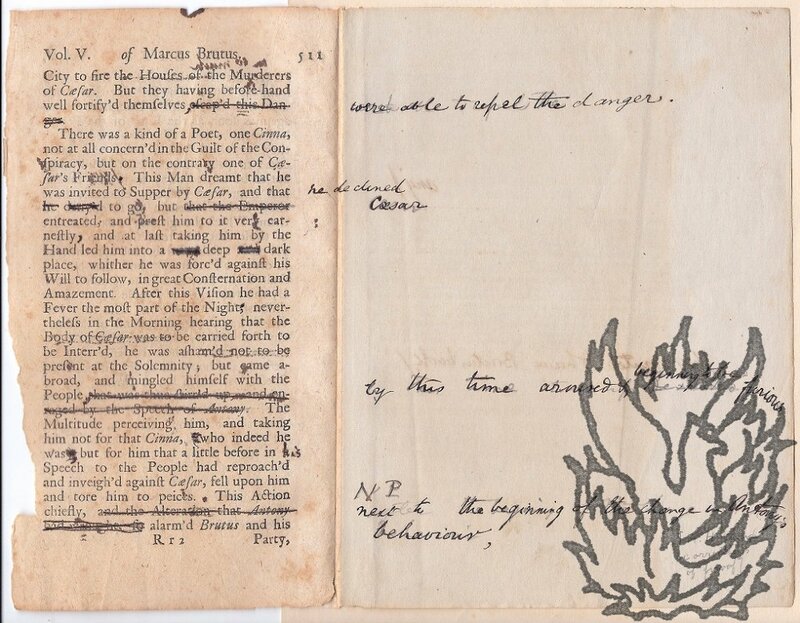 The two leaves were evidently disbound from a copy of an edition of Dryden's Plutarch, in which the grey 4to leaf of writing paper following the 12mo printed leaf was one of those that interleaved the volume. In fair conditon, on lightly-aged paper. The two leaves are tipped in onto a larger leaf removed from an album. The printed leaf is 12mo, from volume 5 of Dryden's translation, with the pages numbered 511 and 612 [sic]. The two sides of the leaf carry a total of approximately 25 emendations and deletions. Printed on one side of a 4to leaf, to which a black mourning border has been given by hand. Well printed on wove paper. Fair, on lightly-aged and ruckled paper. The author's name is not given, and the title reads 'SONNET | ON THE LATE | DUTCHESS [sic] OF GORDON.' The poem begins: 'IS then the bright expansive spirit flown, | That wont to animate the admiring throng? | Does the fair theme of many a poet's Song | Exist in pleasing memory alone?' 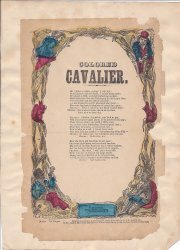 The poem was also printed in 'The Poetical Register, and Repository of Fugitive Poetry, for 1810-1811' (London: F. C. and J. [Printed pamphlet, limited to 200 copies.] 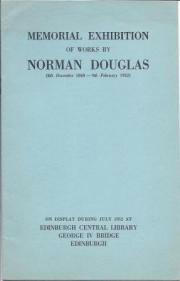 Memorial Exhibition of Works by Norman Douglas (8th December 1868-9th February 1952). 'This Bibliographical Catalogue, compiled by Cecil Woolf and Alan Anderson, is limited to two hundred copies.' 8vo, 9 pp. In original green printed wraps. Good, on lightly-aged paper, with single manuscript correction in green ink. 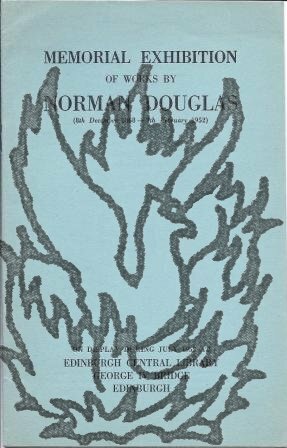 Full-page introduction on Douglas by Moray McLaren. Scarce: the only copies on COPAC at Oxford, the British Library, and the National Library of Scotland. On letterhead of the Pall Mall Gazette, Northumberland Street, Strand; 2 June 1884. 3 pp, 12mo. Bifolium. 21 lines. Text clear and complete. Good, on lightly-aged paper. Begins 'I shall really be very sorry, and I know that I speak for my chief, if you will not allow your paper to be published.' He considers it 'by far the most interesting and exhaustive of those that we have received, and its non-appearance some days ago is due to a hittch which occurred at the last moment.' He was 'so reluctant' that it should be lost, that he disregarded the 'excision that you made at my request'. Autograph Letter Signed ('Blanche Lindsay') from Lady Blanche Lindsay, poet and artist, wife of Sir Coutts Lindsay, founder of the Grosvenor Gallery, to 'Mr. Evans'. 4 April 1888; 4 Stratton Street, Piccadilly, London. 12mo, 3 pp. On bifolium. Clear and complete. Good, on lightly-aged paper. She has 'finished the brown drawing of elves, & birds singing', and, as she is going into the country for a few days, will leave it, 'in a portfolio', at Stratton St. She asks him to 'kindly take care of it', as he has been 'good enough to do with the others. It is, as you know, a very careful & highly-finished drawing'. She asks him to have 'the delicacy of the lines reproduced, & the drawing of the limbs of the little elves, etc. very carefully & exactly rendered, otherwise the drawing wd. Autograph Letter Signed ('M Berry') from Horace Walpole's friend Miss Mary Berry to the politician and wit Richard 'Conversation' Sharp, commenting on his volume of 'Epistles in Verse'. 12mo, 4 pp. Bifolium. Good, on lightly-aged paper. Her 'constant practice' has always been to return her thanks for the gift of a poetry volume 'before I could possibly have had time to read it', but in this case 'this caution was impossible for I received your little Vol: in all the hurry of leaving town, & I may say England, for I shall not return to London before our departure'. She is glad she was not able to write before reading the poems 'with the attention they merit & with all the pleasure they have given me'. Richmond <?>6 June (no year).